Once the holidays arrive and the lists have been double and triple checked and everything is wrapped, most of us can finally take a deep breath, enjoy time with family and friends and set aside time for ourselves. 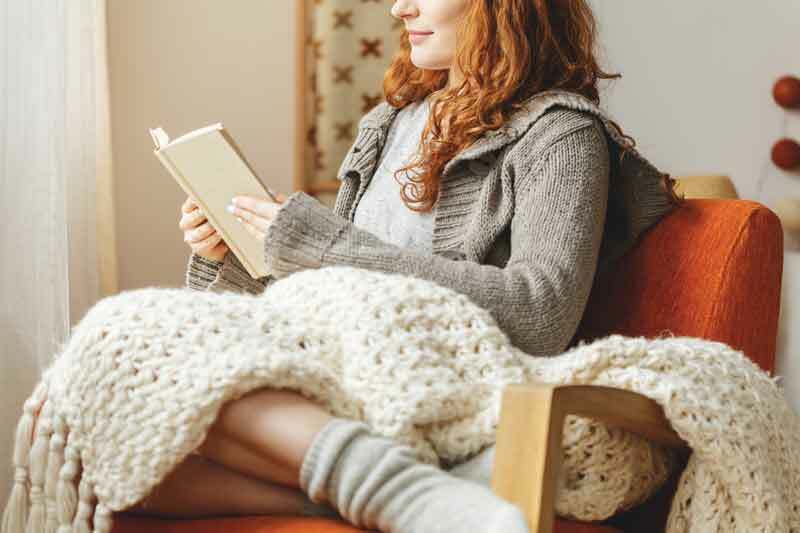 Whether you are traveling or staying at home this season, having a good read is a must for some much needed downtime. Cakewalk, set in Brown’s Runnymede, follows two sisters who are coming of age in the 1920s in a small southern town on the Mason-Dixon line. Brown, who lives in Afton, Virginia, is well known for her animal mystery series—Sneaky Pie Brown and Sister Jane. Learn more. This powerful collection of poetry by Poet Laureate, Pulitzer Prize Winner and University of Virginia Professor Rita Dove is a must-read and a must-have for any library. Learn more. Be sure to follow the “Literature Notes” in each issue of Charlottesville Wine & Country Living for more great local book recommendations. In 1966, French clothing designer Yves Saint Laurent designed Le Smoking—the first tuxedo suit for women—a move so bold for the time that most restaurants did not allow women to wear the tuxedo suits, or any pants for that matter, when dining in their establishments. Le Smoking was just one of the designer’s memorable legacies. Saint Laurent’s influence on the industry is still seen today as his ingenuity lives on in modern fashion. 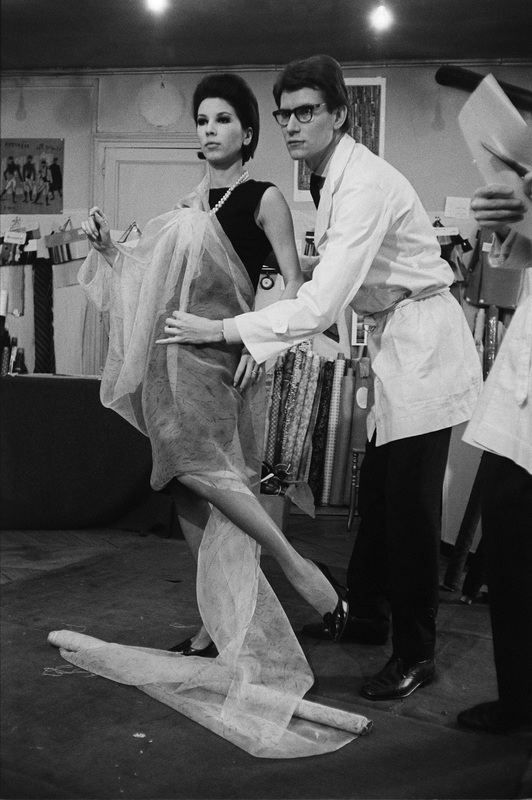 In a rare opportunity, lovers of fashion can view Yves Saint Laurent’s most groundbreaking work on display at the Virginia Museum of Fine Arts (VMFA) until August 27th. The exhibit, Yves Saint Laurent: The Perfection of Style, features 100 examples of the designer’s garments and accessories, some of which have never been seen before. 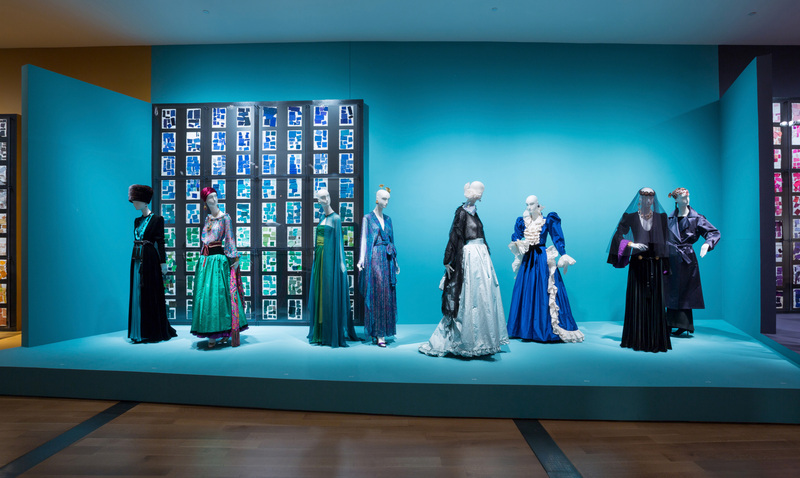 The VMFA is the only venue on the East Coast to house the exhibit, which has been organized by the Seattle Art Museum in partnership with the Fondation Pierre Bergé – Yves Saint Laurent in Paris. Yves Saint Laurent’s legacy is visible throughout the exhibit, starting from his first design as a teenager, including his work that challenged gender norms in the ’60s, and culminating with a runway of the icon’s most spectacular evening gowns sorted by color. 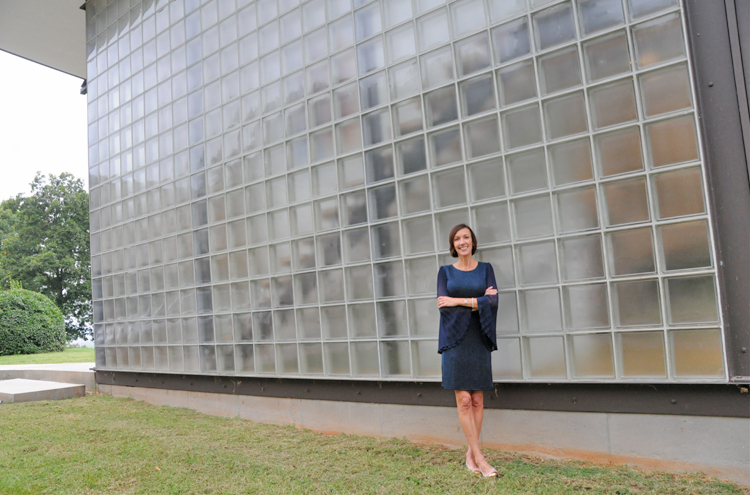 Local Charlottesville artisan, Liz Hanson created jewelry pieces honoring Yves Saint Laurent’s distinctive style for the exhibition’s gift shop. 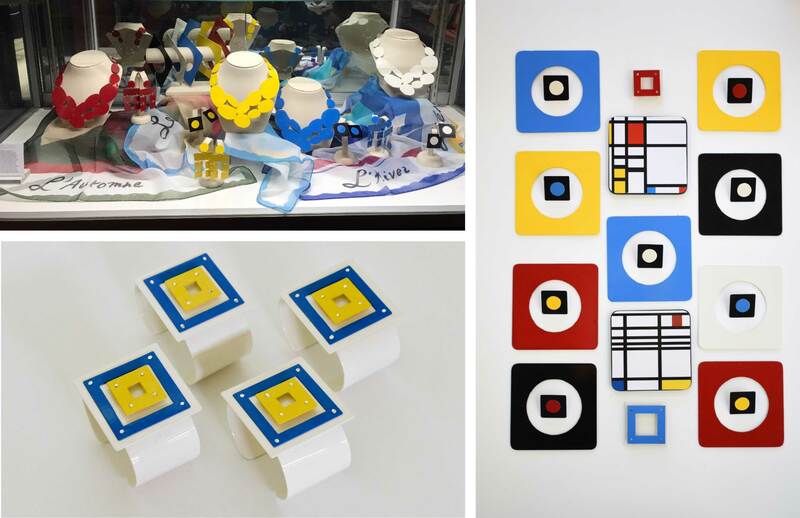 An artist who strives for “depth and simplicity” in her work, Liz Hanson created a beautiful and bold jewelry line that echoes one of the dresses on display from Saint Laurent’s Mondrian Collection. Yves Saint Laurent’s Mondrian Collection, an homage to the work of Piet Mondrian, featured what Mondrian called “The Trinity”—primary colors red, blue and yellow—and geometric shapes. Hanson created bangles, cuffs and chandelier earrings using those primary colors and the geometric shapes that were distinctive of Mondrian’s work and Saint Laurent’s following collection. In addition, she used hand-cut ovals to create necklaces featuring the primary colors that would add a softer element to her line. Metalsmith Liz Hanson’s jewelry displayed at the VMFA and jewelry in her Yves Saint Laurent and Piet Mondrian inspired collection. Another feature of the Yves Saint Laurent exhibition is the inclusion of sketches and notes that offer insight to the fashion designer’s creative process. On a wall display are color swatches from 40 years of pioneer work in the fashion industry. Left Photo: Exhibition Interior by David Stover © VMFA; Right Photo: SOIR Spring-Summer 1971 haute couture collection board, Yves Saint Laurent (French, 1936-2008). Mixed media on thick grid paper pinned with fabric swatches. © Fondation Pierre Bergé – Yves Saint Laurent, Paris. Yves Saint Laurent officially retired in 2002 with his final runway show, just six years before his passing at the age of 71. His character and legacy live on today in the many designers he has inspired. Once you have completed walking through the exhibition, be sure to browse the gift shop’s carefully selected items that speak to the exhibition and show the many ways in which Yves Saint Laurent’s style and work is still influencing new works today, including Liz Hanson‘s jewelry. Yves Saint Laurent surrounded by Laetitia Casta, Catherine Deneuve and his models, all wearing tuxedos, at the end of his 40-year retrospective fashion show. Centre Pompidou, Paris, January 22, 2002. © Fondation Pierre Bergé – Yves Saint Laurent, Paris. Photo: Guy Marineau. “Green Mind” is a nature-inspired exhibit showcasing pieces inspired by the forces of nature transformed into abstract art. 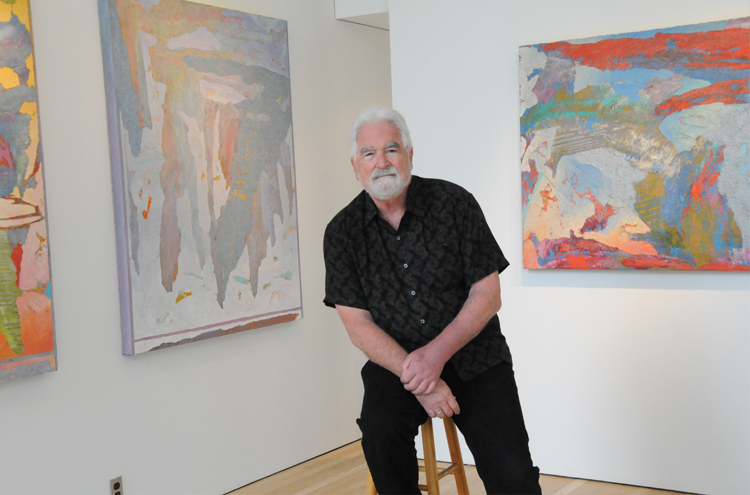 The exhibit was first debuted in Washington D.C. and was designed around the work of artists Sharon Fishel and Beverly Ryan by art critic and curator, J.W. Mahoney. A portion of that exhibition is now being featured in Charlottesville with the incorporation of new drawings, sculptures and book art from various local artists in the “Green Mind” exhibition at Chroma Projects Art Laboratory. Fishel and Ryan, the two artists in the original “Green Mind” exhibition, are abstract artists in D.C., and they both focus on capturing nature in their work. 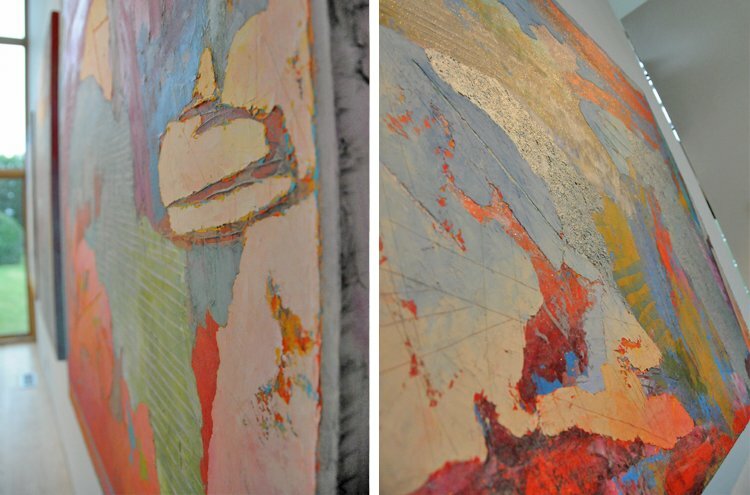 Ryan’s painting, Elixir (below at left), demonstrates the geometric influence in her paintings, while Fishel’s Drishti (below at right) shows a more organic approach to her abstract paintings. Lotta Helleberg, a local edition to the original show, is known for her leaf print textiles. Recently, Helleberg has started using the natural dye transfers to make personal artist books, like Quercus Alba (below). 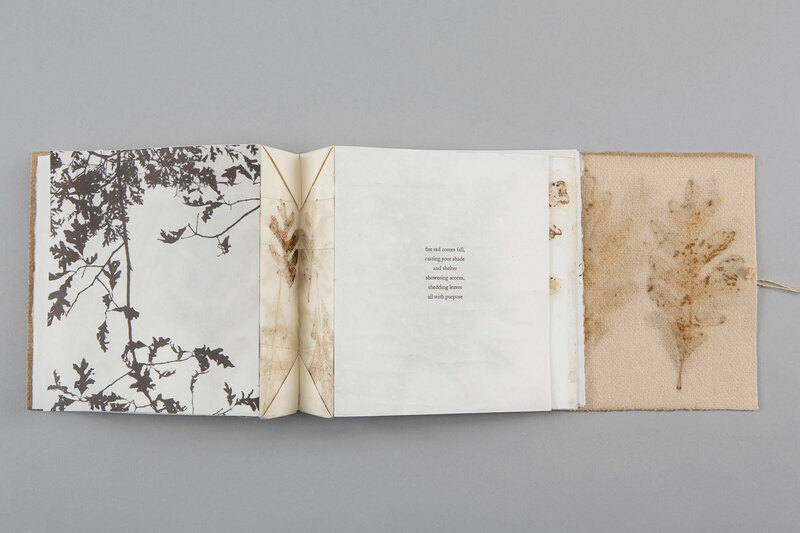 Featured alongside the dye transfers are poems and observations about each leaf’s origin. Alan Box Levine, another local edition to the original “Green Mind” exhibition, is a local craftsman and artist dedicated to making pieces that show the grains and natural characteristics found in varieties of wood. His paintings, like Correlation and Integrity (below), present a birds-eye view of wind and water interacting with trees. Sonja Weber Gilkey’s sculptures are made of woven rope and pieces from the Maine shoreline, where she spends her summers. 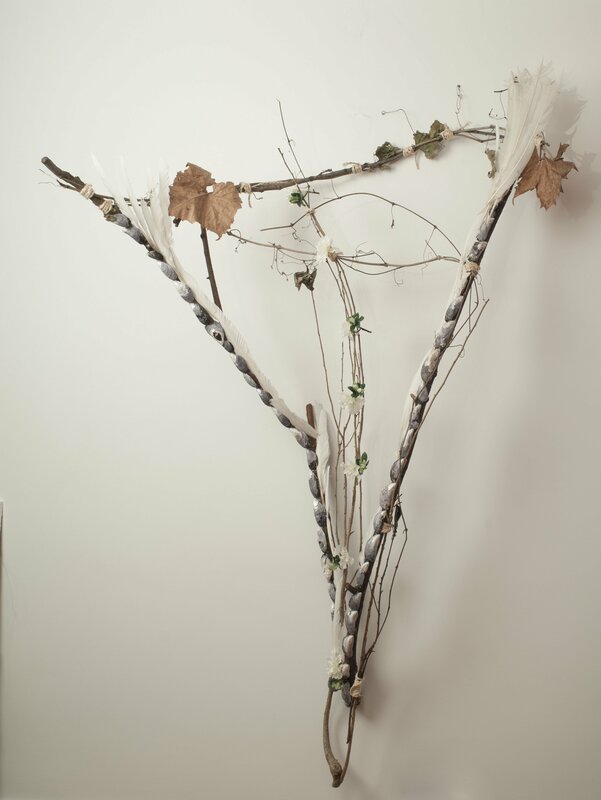 For her local editions to “Green Mind,” such as Kundalini Rising (below), she only traveled as far as her backyard to gather materials to create these natural wall sculptures. Chroma’s “Green Mind” also includes the local work of Linda Wachtmeister, who captures the nature of seed pods, and visual and performance artist James Yates, who has created an interactive work that encourages visitors to write their experiences with nature. You can see all these amazing works and more at Chroma Projects Art Laboratory‘s “Green Mind” until January 28. 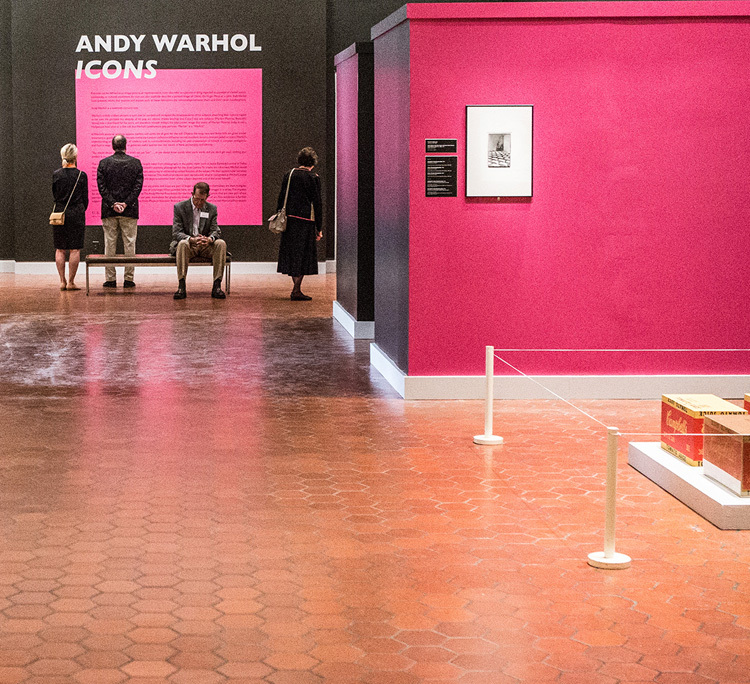 This summer, Andy Warhol returned to The University of Virginia. In 2011, following a gift of 153 Andy Warhol photographs from the Andy Warhol Foundation’s Photographic Legacy Project, UVA debuted Society Portraits: Andy Warhol’s Photographic Legacy. The newest Warhol exhibit at the Fralin Museum of Art, Andy Warhol: Icons, features a range of prints by Andy Warhol, also known as the Pope of Pop. 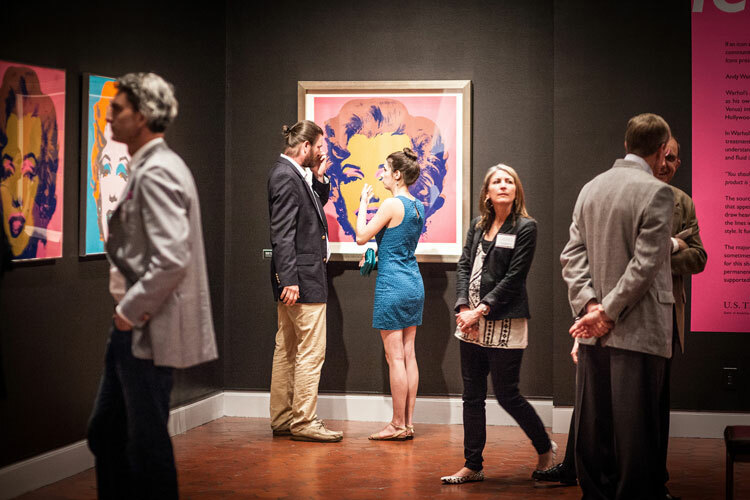 Keeping with its mission to promote the community and public’s visual literacy, the Fralin allows visitors to experience some of Warhol’s most famous works, like his Marilyn Monroe paintings. This exhibit, which runs until September 18th, salutes Warhol’s work with the singular image and his pop art featuring famous subjects. 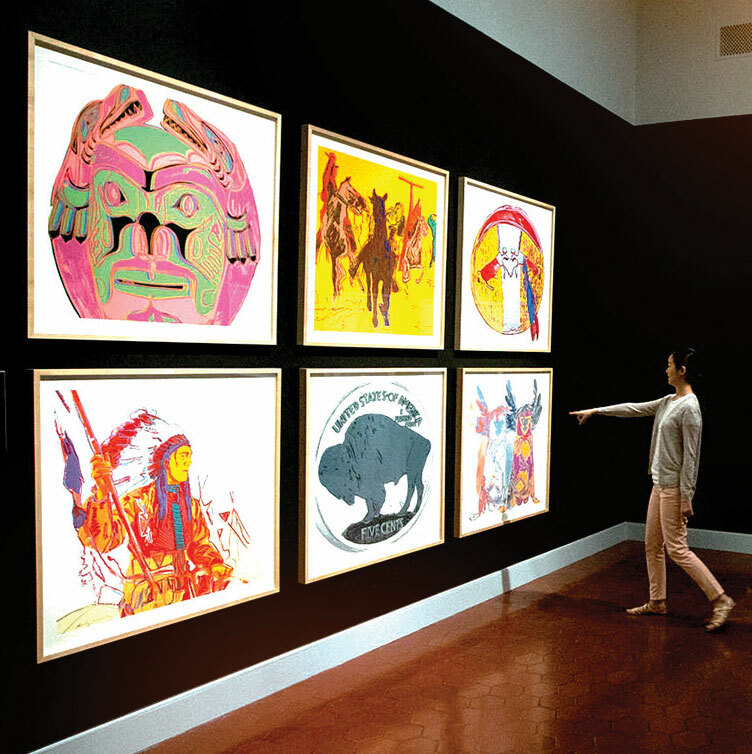 The bright prints, popping from the gallery’s dark walls, showcase Warhol’s famous screen printing techniques. Andy Warhol: Icons features both pieces loaned to The Fralin from the Andy Warhol Foundation for the Visual Arts, as well as six pieces from The Fralin’s own collection, another gift from the Andy Warhol Foundation in 2014. Since 2007, The Andy Warhol Foundation has gifted over 29,000 Andy Warhol photographs to 190 American university art museums, and over 14,500 additional Andy Warhol pieces to museums around the globe. The prints now displayed at the Fralin reflect Warhol’s famous photo-based work. Along with being a photographer, Warhol used photos for silk screen printing, manipulating the layers of colors expressed in his images, as well as for painting. Warhol was not only revolutionary in his art techniques, but also in his subject choices. Andy Warhol: Icons highlights Warhol’s role in the art pop movement through his use of the celebrity, icon and commercial image. Images displayed from Warhol’s Cowboys and Indians series depict both Native American and Western icons, like Annie Oakley. 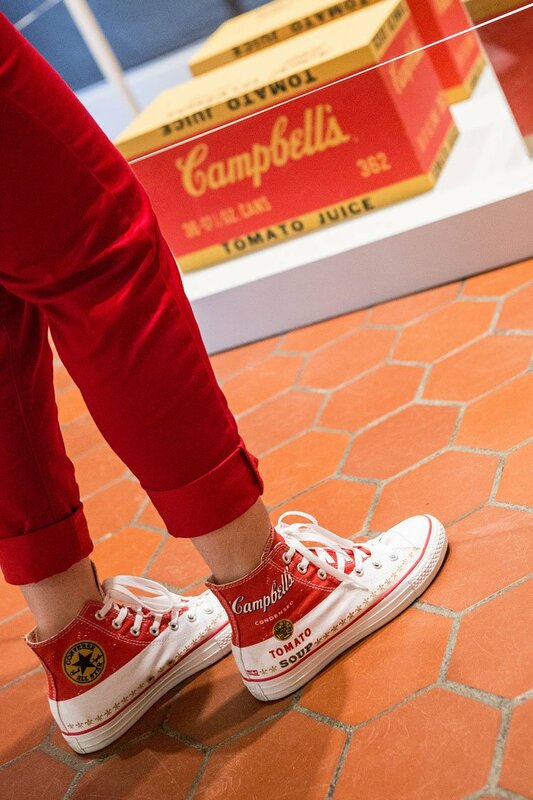 Warhol’s work with Campbell’s Soup, also featured in the exhibit, demonstrates his famous work with the commercial image. The pop artist featured the soup cans in one of his first art shows, choosing to highlight a commercial subject over the private and exclusive fine art subject, helping to usher in the pop art movement. 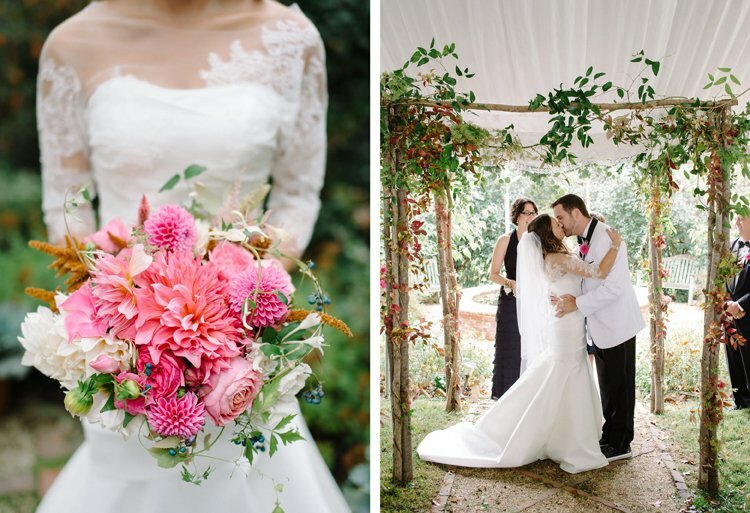 This incredible exhibit will be at The Fralin until September 18th. Don’t miss your opportunity to experience the famous work of the Pope of Pop!